The Special Investigating Unit told Parliament that the liquidation process of The New Age newspaper will not stop it from pursuing justice over agreements between the formerly Gupta-owned newspaper and public service broadcaster the SABC which were deemed irregular. The SIU briefed the Standing Committee on Public Accounts (Scopa) on Wednesday evening on investigations it was conducting into matters such as irregular contracts, irregular appointments as well as irregular promotions and pay raises at the South African Broadcasting Corporation. Along with The New Age, former SABC chief operating officer Hlaudi Motsoeneng got a passing mention over the manner in which bigwigs at the public broadcaster got promotions and raised their salaries. SIU head Advocate Andy Mothibi told Scopa that SABC brought an application to have a contract with The New Age set aside and that the SIU would join that application. Mothibi said liquidation was a common tactic used to avoid accountability in serious cases like these. “Even though TNA is going into liquidation, we will not stop our process. We will determine the members and parties involved so we can find those culpable. 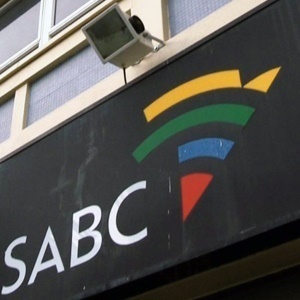 Losses of R154m are claimed to have been suffered after SABC’s repudiation,” said Mothibi. He said investigations had created evidence for civil litigation to the value of R166m and three matters have been referred for legal papers.